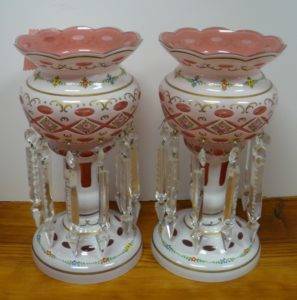 Refreshments Every Weekend – Come take a LOOK! Jelly Cupboard, Handmade by the Amish – $185.00, Booth 25. Wonderful Collection of Apple Franciscan Ware from Farmhouse Vintage – Booth 38. 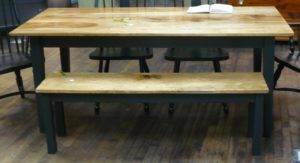 Priced Individually to SELL! 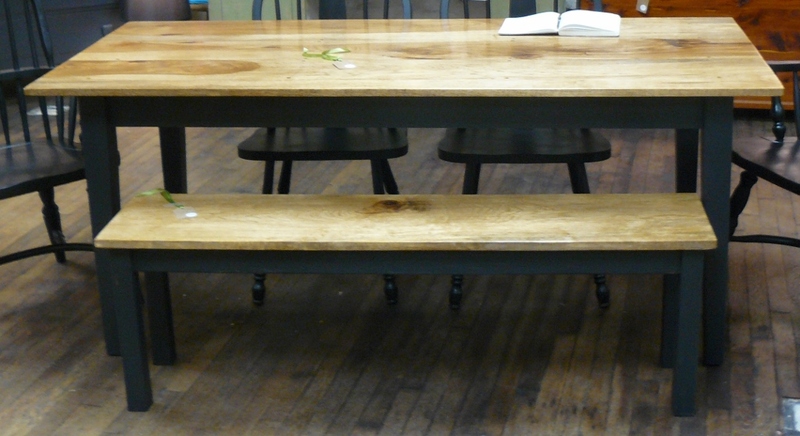 Farmhouse Vintage Hickory Top Farm Style Hand Crafted Table, (Booth 38) – $525.00, Matching Bench, $125.00. 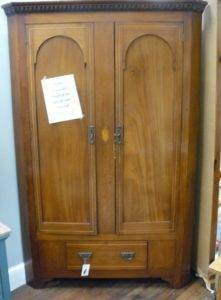 Diminutive Country Cupboard, c1880’s – (3ft x 4ft including Back Splash), $315.00 – Booth 150. 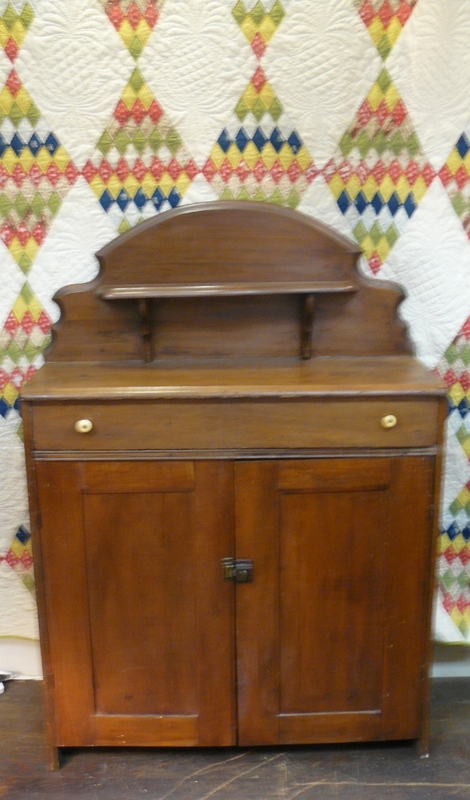 (Quilt, Signed/Dated 1881, Fabulous, Come take a LOOK! 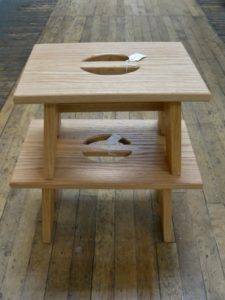 $325.00). Booth 150 is having a SALE, 20% off on Items over $20.00! 18 Inch Porcelain Hand Painted Wash Bowl – Booth 150, $45.00. 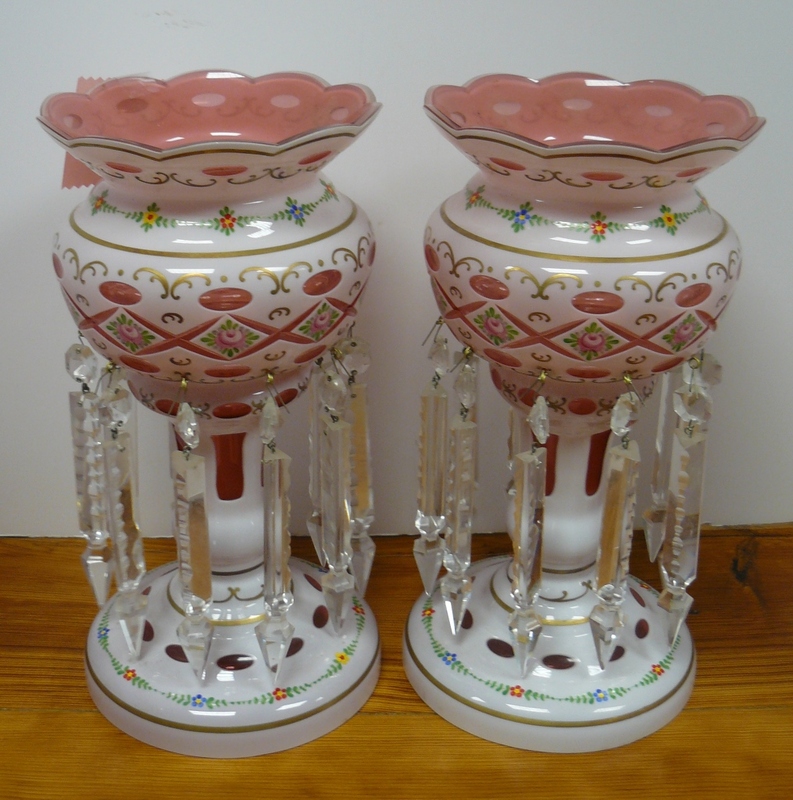 Pair of Mantle Lusters, Booth 33ha, $250.00. 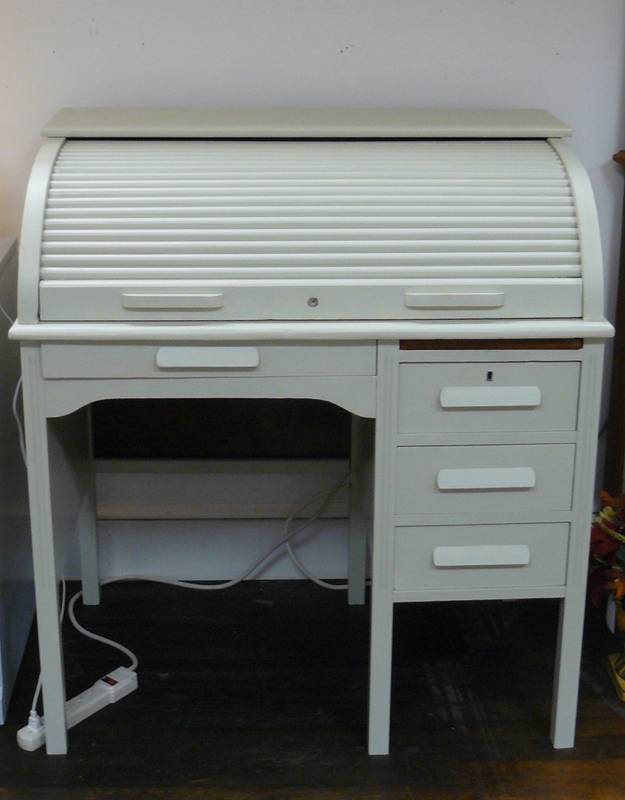 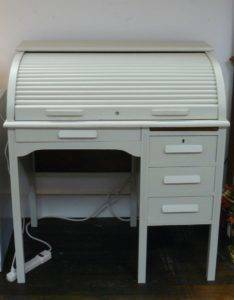 Painted Roll Top Desk – Booth 18, $195.00. 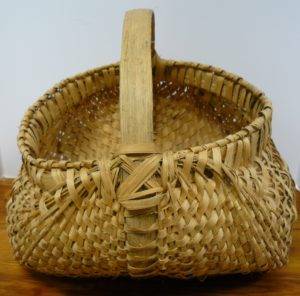 Giant Splint Oak Egg Basket from Booth 57 – $98.00. Corner Cupboard from Booth 806 – On Sale at 20% off , was $495.00 – Now $396.00! 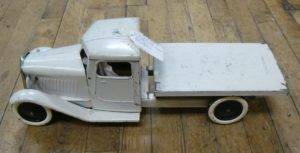 Struckto Toy Flatbed Truck, Circa 20’s or 30’s, Has Headlights – Takes ‘D’ Battery, $325.00. 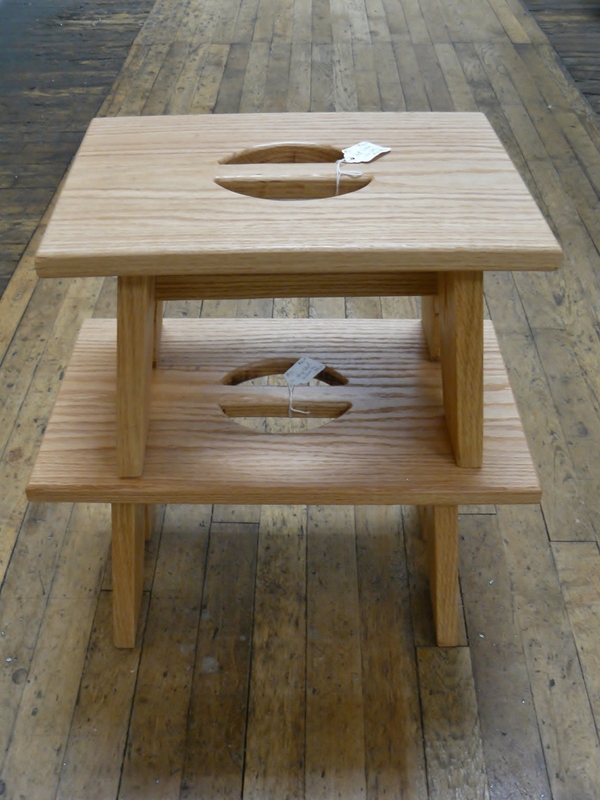 Pair of Foot Stools Handmade by Fry – Top, $40.00, Bottom $45.00. 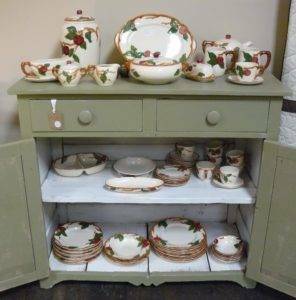 Booth 31. 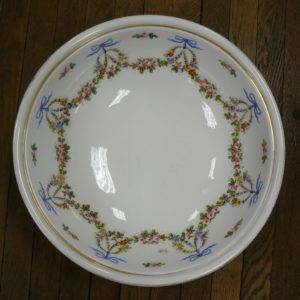 ‹ Huge Dinner Bell and a Complete Set of Beatrix Potter Books!